It’s that time of year again. And just saying ‘Conference Time’ in Utah doesn’t count, because there is more that one event matching that description next month. The one in question for this post is this years “Utah Prepare Conference & Expo“. Last year this event was a great success, an informative chance to meet with many of the best preparedness resources in Utah in one place, with a wide selection of classes to attend. This year the event will be held at the South Towne Expo center making it a bit easier for everybody from the southern area to attend. As an added bonus, use the promo code “prepper” when registering for $2 off each ticket! Today’s guest post comes to you courtesy of Becky W. who is a freelance writer that loves to write on a number of things such as safety, food, and health. In her spare she loves to try new dishes in the kitchen and maintain a healthy lifestyle. While nobody anticipates that an emergency is actually going to befall them, these things happen before anybody can begin to plan. There are a few items you can keep around the house that will be of great use to you and your family if you ever experience a wide-scale emergency. A first aid kit should be at the top of your list of essentials. It is inevitable that somebody will be hurt by a cut, burn or scrape. Your kits should include latex gloves, bandages, gauze pads and antibiotic moist towlettes. You should also have tweezers, saline solution and scissors on hand. If anybody in the family takes prescription medications, have a bottle on hand. Do not forget to include any inhalers, pain medications and antihistamines. It is also vital to have a well-stocked pantry and emergency supply of food available. Water is essential. It never hurts to have a few cases of water in plastic bottles around the house. You should also keep some drinks with electrolytes in them for their minerals. Canned fruits and vegetables that are ready to eat and have a long shelf life are great. You may even keep some canned meat, like tuna or chicken. Don’t forget to pack some granola, protein bars, peanut butter, dried fruit, nuts, crackers and cereal. If you have an infant, you want to keep some jarred baby food as well. Check expiration dates regularly and be sure to pack a can opener along with paper cups, utensils and plates. There are a few personal items to keep in a safe place. It is good to have an area stocked with old prescription glasses, a pair of sturdy shoes and sleeping supplies. A sleeping bag that can be used outside is a must. You also want to pack warm clothing and a few books to read. Keep a stock of personal hygiene items, such as menstrual pads and toothpaste, on hand. Other practical items, such as a sump pump, are great to have on hand in case a pipe bursts. You should also have a self-powered flashlight. There are flashlights you can turn a lever to power, and they are easy to maintain. You can also find a self-powered radio. You should also have a car charger for your phone and other important electronic items. Of course you also need to have a sturdy container to hold all these items. We are now into Day 3 of the Dump Fire at Saratoga Springs in Utah. Our own Jayce and Neybar live near the fire, and while their homes do not seem to be in any danger, they still left work early yesterday to volunteer to help. Their experience and knowledge has undoubtedly been invaluable to the volunteer effort. They have been keeping us posted on Twitter (@JayceHall and @neybar), and I have seen several of their tweets mentioned and retweeted by others needing information. For those who haven’t been following along, you can keep an eye on the #dumpfire hashtag on Twitter. For any ham radio folks who want to monitor, they’re on 145.23 repeater (131.8 tone). NetOps is at station 2. It is believed that the fire was caused by people target shooting near the landfill. They were shooting in an area where it was legal to do so, and when the fire started, they called 911 and attempted to put the fire out. They have been cooperative with authorities, and have been helping the effort to put the fire out. Because they were shooting legally and did everything right after the fire started, they are unlikely to be charged criminally. In following news reports, I have noticed some things. When crews knocked on doors on Day 2 of the blaze to tell people they had 15 minutes to evacuate, a lot of people scrambled to pack up what they considered necessary. Family photos, pets, medications and a change of clothes. Less prominently featured in the stories were people who decided that they were going to have to evacuate, and started packing their cars long before evacuation orders came in. While I’m sure there were plenty of preppers who already had 72-hour kits ready to take at a moment’s notice, they were apparently not as newsworthy as the less-prepared. Though my family lives in Magna, far away from the fire, we still had one evacuee knock on our door asking to buy a small bottle of shampoo from my wife’s basement salon. Food donations for the #dumpfire. This incident underscores not only the importance of fire safety, but also the importance of being prepared and keeping a current 72-hour kit or Bug Out Bag. Fortunately, several local businesses pitched in to provide food and water at the local evacuation centers, but this is not always the case. Be sure to check expiration dates on the food in your kits and in your food storage in general. Our hearts go out to those affected by the fire, and we hope that it will be out soon. It’s been a while since we’ve had any public meetups, and I know I have a few supplies I need to top off on. So what a better chance to meet some other preppers than to get together at a gun show. On Saturday the 16th a few of us will be attending the Rocky Mountain Gun Show. It’s always fun to browse the various shops, negotiate a few deals on supplies, and take some time to mingle with other folks. Let us know if you’ll be there so we can meet each other, and let’s plan on a 12:00 lunchtime at the crown burger across the street. Following their link, you can pre-purchase tickets to avoid a line, and you can also get coupons for $1 off entrance. FEMA, the Federal Emergency Management Agency has long supported CERT (Community Emergency Response Teams) in locales large and small by providing training material, grants and other support. This week they released a new set of FEMA guidelines and instructions for CERT drills and exercises. These exercises cover the gamut and include tabletop exercises, functional exercises, full scale exercises, and competitive events. Find out more about these drills and exercises after the jump. Join us for an evening of free information on different options for cooking when the power goes out. Representatives from great companies such as Sun Oven, Volcano Grills, Humless, and InstaFire will be combining with Jodi and Julie from Food Storage Made Easy to help you learn about these products as well as several free or inexpensive tools you can make yourself. Come and enjoy free handouts, event discounts, giveaways and more! Cost: FREE! Bring a friend! You have a perfectly set up 72 hour kit/bug out bag for each member of your family. They are located in vehicles or in a grab and dash spot so you can be on the road and on your way within seconds. Now what? Where are you going? Generally speaking, an evacuation plan should include a few set locations that you and those you are bugging out with are familiar with. One common solution is to head to a family member’s house some distance away. This solution might work in some scenarios, but in many circumstances you might find that you’ve placed a burden on your family by bringing more mouths to feed in an extended crisis. In other situations you might find it difficult to get to your family member’s home due to distance, lack of fuel or inaccessible roads depending on the nature of the disaster that has caused you to leave your home. When starting your journey down the rabbit hole of preparedness you’ll often see terms referenced such as GOOD (Get out of Dodge), BOL, BOB (Bug out Location, Bug out Bag) and other acronyms that hint at evacuating an area should there be a disaster, civil unrest or many of the other events that we prepare for. One question that can’t be answered by a simple acronym however is WHERE? My nearest family is about 10 hours away and in either highly populated areas or in areas with limited access in a disaster, so my family needs to consider something more local for our evacuation plan. We decided that as part of our general preparedness efforts we would like to work towards obtaining a property to eventually build a bug out location as well as provide a place for our family to camp and enjoy nature on a frequent basis. I’d like to share some of the things I learned in this process on creating your own bug out location. Today (April 17th, 2012) at 10:15 the state of Utah is participating in an Earthquake drill (The Great Utah Shakeout). This will be the largest earthquake drill in Utah history. While still under the table, or wherever you are, look around and imagine what would happen in a major earthquake. What would fall on you or others? What would be damaged? What would life be like after? What will you do before the actual earthquake happens to reduce losses and quickly recover? (Optional) Practice what you will do after the shaking stops. After your drill is complete, have discussions about what was learned and incorporate these lessons into your disaster plan. This is a great opportunity to look at your emergency plans. Have you thought about earthquakes? Is your 72-hour / bug-out-bag ready to go? If you are on twitter you can follow @UtahShakeOut and the #shakeout hashtag for more up-to-date info. Interested in a day of workshops focused on preparedness? Who wouldn’t? Utah State University, BYU, and BeReady Utah have combined to host a day of classes and booths called the Utah Prepare Conference and Expo. Now, the title is rather similar to our name, but hey, it involves many groups that we rely on for well-researched information. I’m really excited about this conference, in that it is *not* a sales machine. BeReady is the state organization charged with getting citizens ready for known disasters in the state, and it has teamed up with some of the best resources for preparedness around. Anybody who has done real research into local agriculture, animal husbandry, or food preservation has come upon materials published by the USU extension. They are the standard for food preservation testing in the country, and we love having them locally. Of course, there are vendors there as well, so don’t fret about missing out on the “toys” and fun there as well, but the conference itself is not “consumer-first”, and that should mean a lot to real preppers. Following up on last year’s very successful Emergency Preparedness Expo, a new preparedness based company Free Food 2 Go is sponsoring a preparedness event the first weekend this April. The expo will play host to a wide range of well know presenters in a variety of preparedness subjects as well as an expo hall for vendors, all at the UVU campus. This is the second year for this particular event which saw 1,500 attendees in 2011. This year the expectation is 2,500 to 3,500 attendees. Free Food 2 Go, the expo’s overall sponsor appear to be a vaguely MLM/Co-op plan for food storage. As the sponsor, they will obviously have plenty of information prominently featured. However, if MLM sales pitches turn you off remember that while featured, they are just one of many vendors at the event. 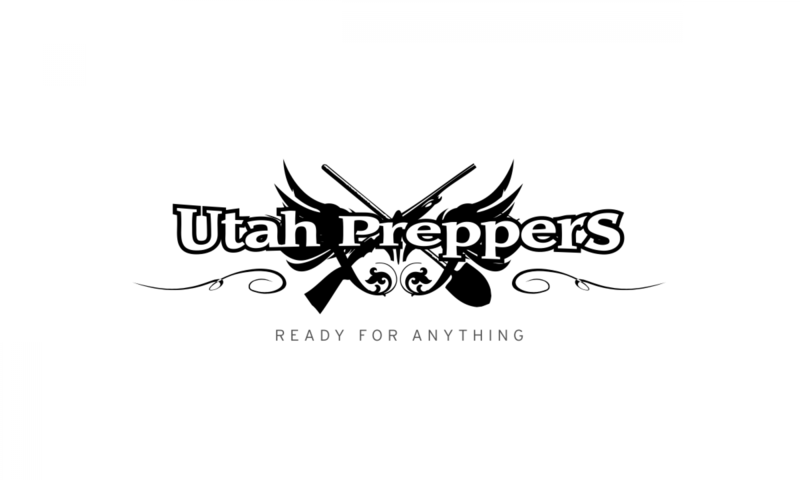 With the number of vendors and experts on hand this should prove to be a great chance to get hands-on with many of the suppliers and products discussed here on UtahPreppers.com and in other preparedness circles. If you by chance missed out on the premiere of local prepper and UtahPrepper author Phil‘s show, “Meet the Preppers” (bio), then you have another opportunity this Sunday. Animal Planet is going to rebroadcast the pilot episode in order to test the ratings again. If you want an opportunity to see less doomsday, and more family practice, tune in and let Animal Planet know you want to watch more!